You’ve got the Latino food, drinks, and music. Now, all that’s left to do is to secure is this striking flyer. It’s all you’ll need to promote National Hispanic Heritage Month when September rolls around. Insert this print flyer into a media kit mailed out to local newspapers, colleges, and radio stations. Follow-up by emailing a digital version of the flyer. Leave stacks of flyers at Spanish language learning centers or social clubs. 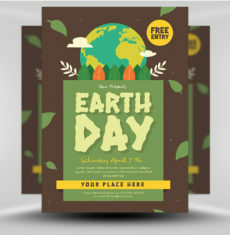 Insert the flyer’s image into a press release posted on media websites. 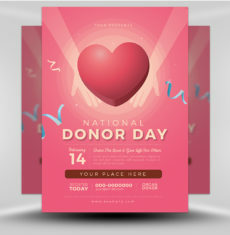 Drop off (or mail) stacks of flyers to local non-competing venues who agree to distribute your flyer to their customers. Post jumbo flyers on train and bus shelter display glass. 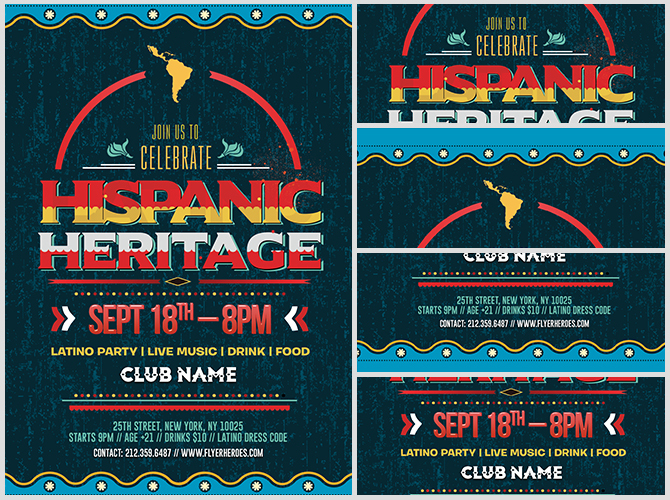 Use the flyer to create a striking National Hispanic Heritage Month postcard that can be mailed or handed out. 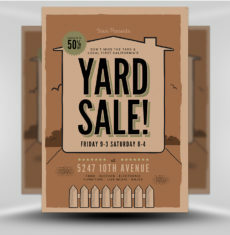 Insert the flyer’s digital image into Twitter posts about your upcoming event. 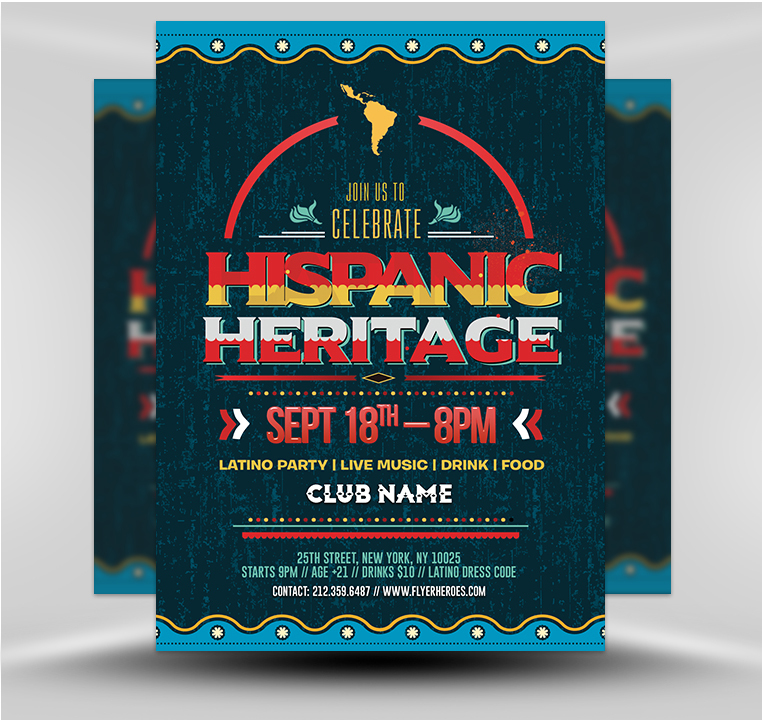 Mail out National Hispanic Heritage Month promotional coupons and flyers to all of your venue’s mailing list subscribers. 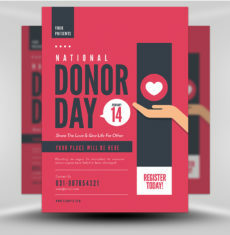 Place the flyer on cars parked around your business and in your venue’s parking lot. Distribute flyers in front of local hot spots, pubs, sports bars, and Latino restaurants. 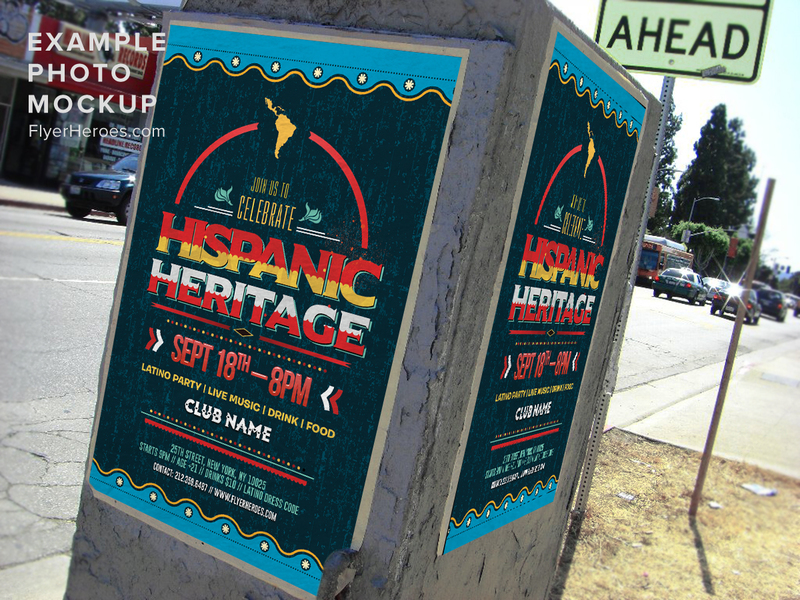 Use the flyer’s digital image to create National Hispanic Heritage Month ads in local entertainment-focused circulars. Run several Facebook advertisements targeting local residents in your desired age range. 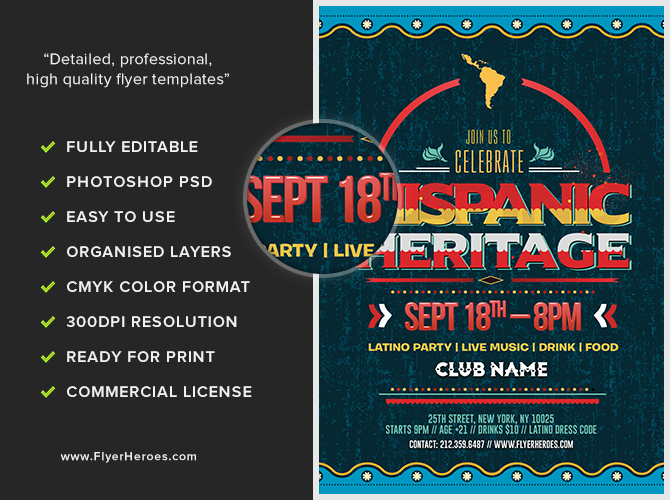 Insert the flyer’s digital image to easily create an engaging National Hispanic Heritage Month ad. Mail out flyers and promotional coupons to local residents.